Rocket Sports & Entertainment Network » Blog Archive » Spring Fling…Are You Ready? 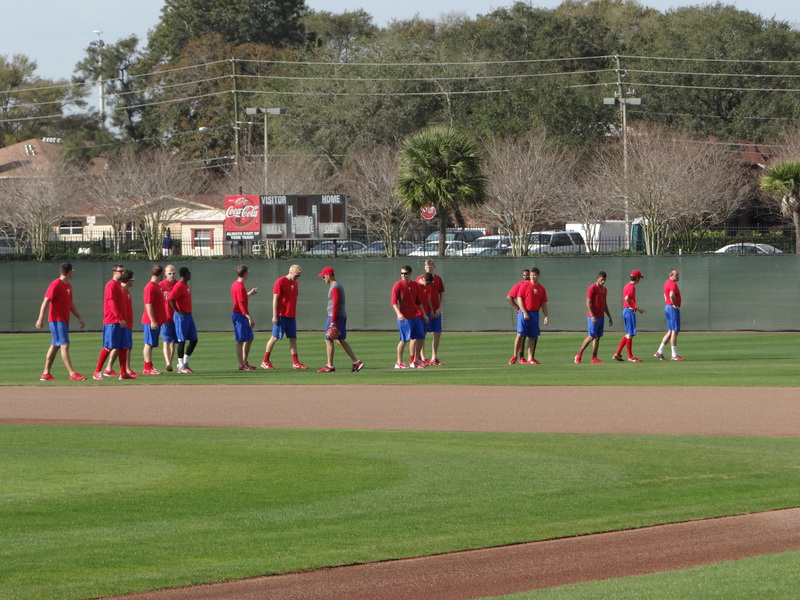 Clearwater, Fla. — Roy Halladay strolls back after doing wind sprints at the Phillies Carpenter Complex. 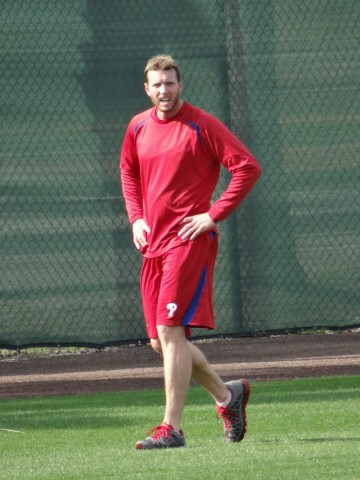 Entering his 16 major league season in 2013 and fourth with the Phillies, Halladay posts a 199-100 career record with a 3.31 ERA and two CY Young Awards During his career the 35 year old Halladay has been in the top five of the CY Young voting seven times and an All Star eight times with the Phillies and Blue Jays. 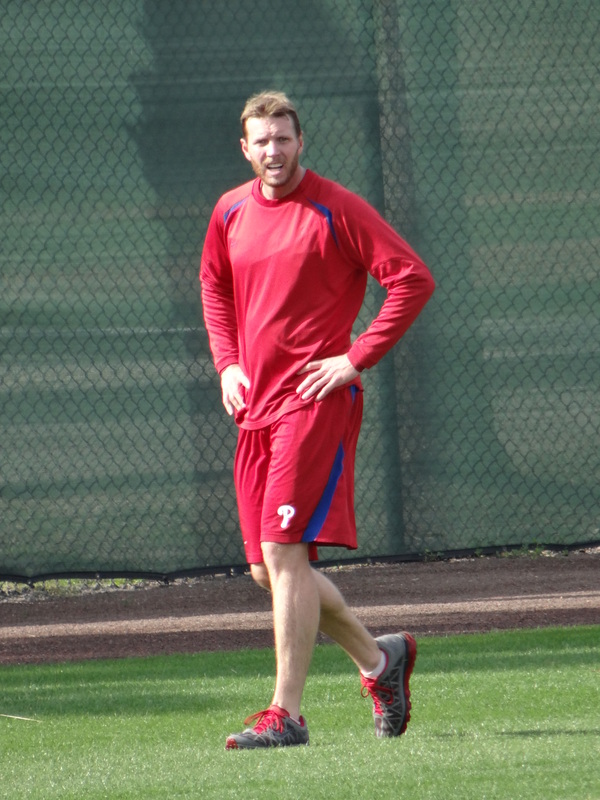 Below, Outfielder Tyson Gillies of Langley, BC stretchs it out while waiting his turn to shag fly balls in center field on Thursday, February 7, 2013 at the Philadelphia Phillies Carpenter Complex. Gillies said he expects to leave March 3, 2013 to join the rest of the Team Canada squad in Arizona prior to the World Baseball Classic.